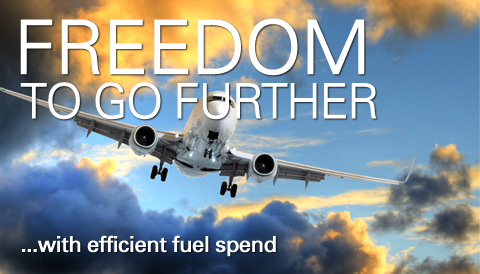 Want Your Fuel Spend To Go Further? Download your InfoPac today to learn more or contact your account manager. Get the most out of your fuel spend by ensuring your business processes are following best practices for fuel conservation and that your current operations systems allow you to get the most out of your fuel spend. We offer a range of both business process consulting and software solutions that can help you achieve your desired result. Control and reduce fuel utilization and associated costs with our solutions and consulting services. To learn more about each of our solutions or services, simply click on the link to view additional information. Uses our systems to calculate carbon emissions and brings together information on flights including date of travel, airline, departure point and destination. Helps airlines develop their monitoring plans, record and monitor greenhouse gas emissions, and develop forward-looking plans to reduce their carbon footprint. Provides airlines the optimal tool to support worldwide airline operational needs. A sophisticated flight plan optimization calculator provides an extensive array of fuel-, time- and cost-efficiency methods, including variable cost index, to produce flight plans with the highest degree of accuracy and least amount of fuel and CO2 emissions. Helps with analysis of current processes related to flight planning and dispatch operations, defines new processes and procedures, and assists with the implementation of such processes and procedures to drive measurable benefits to the bottom line. Helps flight crews perform flight management tasks more easily and efficiently while reducing paper use in the cockpit, including the manuals (and weight) needed for airport and aircraft performance data. Helps enable seamless implementation and maximum value from an airline’s existing electronic flight bag solution. Provides decision support for the utilization of gates by constantly evaluating flight data, analyzing changing conditions, automatically detecting potential problems and either automatically or manually resolving problems to ensure smooth operations. With access to a wide range of data resources, our consultants conduct in-depth analyses such as airport-leakage studies, traffic-flow mapping and passenger booking-pattern evaluation, as well as develop fare files and market sizes used for forecasting and analysis. Provides load planners a visual representation of the optimal center of gravity helping realize significant fuel savings by optimizing the center of gravity. Assists with analysis of current processes related to load planning and weight optimization, defines new processes and procedures, and assists with implementation of such processes and procedures to drive measurable benefits to the bottom line through improved load planning and weight optimization, which provides for the most efficient flight operations. Enables an airline to schedule daily maintenance and flight operations and provides the ability to monitor these activities, enabling an airline to receive reliable and thorough information about current operations. Using a “manage by exception” methodology, provides users with improved contingency planning while improving on-time performance by 7 percent to 10 percent, reducing maintenance dead time and maximizing staff productivity. Provides a comprehensive decision-support system that addresses schedule recovery across an airline’s entire core operations. Incorporates aircraft maintenance routing, crew rescheduling and reassignments, and the impact of schedule changes on passengers. Helps with analysis of current processes, defines new needed processes and procedures, and assists with the implementation of such processes and procedures to drive fuel savings with measurable benefits to the bottom line as well as reducing an airline's carbon footprint. Assists with analysis of current processes, defines new processes and procedures, and assists with implementation of such processes and procedures to drive measurable benefits to the bottom line, helping airlines capture the extremely variable M&E costs and self-evaluate their performance. Helps reduce delay costs that can account for many millions of dollars per year and improve on-time performance, resulting in significant cost savings as well as improve one of the main key performance indicators in the airline industry and maintain a competitive service differentiator. Achieve increased fuel savings and operational efficiencies by analyzing current processes and procedures to define improved processes and procedures that more align with industry best practices. Along with world-class solutions, we focus on both achieving results and effective knowledge transfer. Throughout a consulting engagement or a technology solution implementation, our experts work side by side with airlines to achieve the most successful results. In this way, the delivery methodology is cooperative, collaborative and results driven. Learn how to make your fuel spend go further.